First introduced in 1973, the BIC disposable lighter set a new standard for a low-cost, easy to use to lighter. Since then, hundreds of millions of lighters have been produced. They are safe, reliable, and cost effective, but are also subject to mis-use, in ways that can be difficult to imagine. The design challenge: develop a mechanism that would prevent children (especially curious young boys) from engaging the flame - no matter what - while maintaining the familiar lighting procedure for adults. The solution: a simple, robust mechanism that was easy to use, and suitable for all existing production tools. 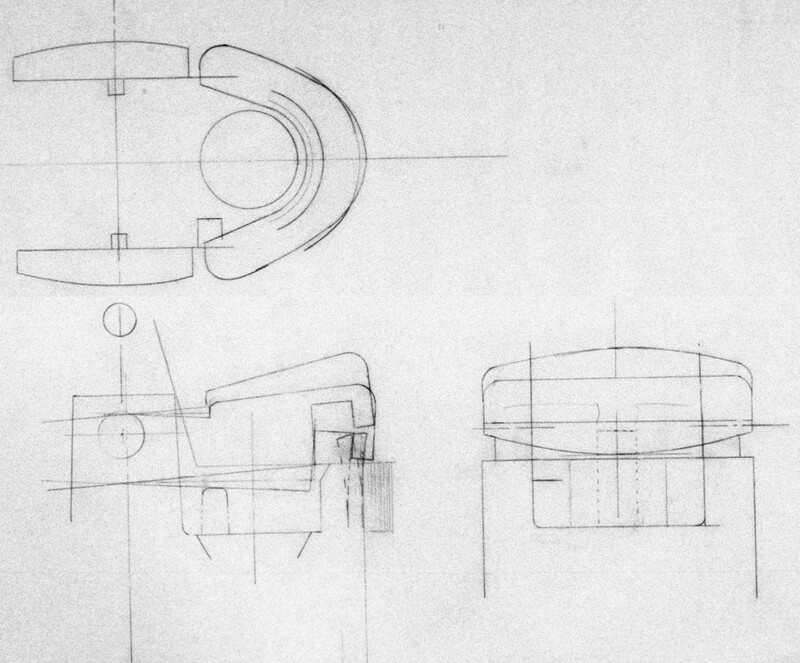 These sketches represent some of the thinking behind the original safety mechanism.